Generate your own electrical power with help from Alternative Power Solutions... We ALL have a great dependancy on using electricity in our daily lives! Most of us are connected to a utility grid, while some prefer to be "off-grid". Regardless of your source, we are here to help you gain independence, reliability and savings in your situation! Whether you're seeking a new off-grid power plant for that remote cabin or forever home, or you're desiring to get rid of your electrical bill from the local utility, or you may just need a "peace of mind" backup solution during grid outages, we've got a solution that will fit your need! Off-Grid battery-based Systems, which often integrate PV, small Wind, small Hydro, as well as small engine Generators. We also have offerings for Electric Vehicle (EV) charging stations, and most-importantly, our basis in most of our Solutions is Energy Efficiency 1st! APS was founded by 3rd Generation Electrician, Contractor and degreed Engineer Rob Bennett on the philosophy and practice of "pure performance-based service" to homeowners, contractors, building professionals, and industrial clients. We were originally founded in 2002 as a service-based traditional electrical contractor under the name of Reliable Electrical Services, Inc. (RESI Corporation). Over the years our market focus, in the hills of S.E. CO, led us to many off-grid battery-based renewable energy systems to service & revamp. During this time we also became an engine Generator dealer & service provider. These opportunities and experiences, along with the Owner's further in-depth professional education in Renewable Energy, led RESI to migrate from traditional (within buildings) electrical contracting to this more focused niche of Power Generation, and hence launch APS. We now solely perform on these types of systems, as described above, and look forward to being Your Solution Provider for Your Independent Power Production Needs! 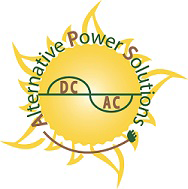 Why Choose Alternative Power Solutions? To be the "Go To" Resource in our Marketplace, for Providing Professional, Sustainable & Cost-Effective Independent Energy Production Solutions. We Vow to Conduct Business, each and every Time, at the Highest Level of Reliability, Integrity, Craftsmanship, Cleanliness and Communication possible. This is Our Committment to You, the Investing Owner! YOU HAVE A CHOICE FROM WHERE YOUR ELECTRICAL ENERGY IS PRODUCED! Why APS you ask? Here are 6 very good reasons!